Zanele Muholi (b. Umlazi, Durban, 1972) currently lives and works in Johannesburg, South Africa. 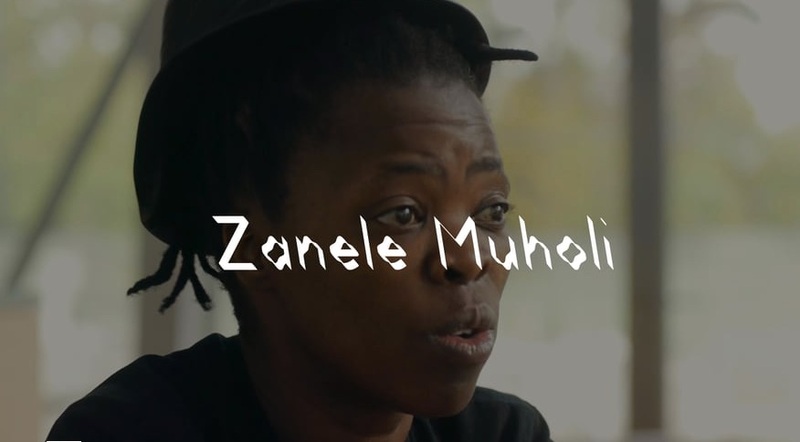 She co-founded the Forum for Empowerment of Women (FEW) in 2002, and in 2009 founded “Inkanyiso”, a forum for queer and visual activist media. With the intention of highlighting the hate crimes in South Africa, Muholi subverts the oppressive narrative of Black queer and trans through rewriting a visual history.